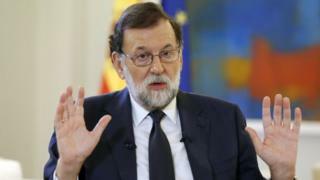 Image caption Mariano Rajoy: "I don't rule out absolutely anything that is within the law"
Any declaration of independence by Catalonia will have no effect, Spanish Prime Minister Mariano Rajoy has warned, adding that he is not ruling out suspending the region's autonomy. In an interview with El País newspaper, Mr Rajoy also rejected any mediation to resolve the crisis. 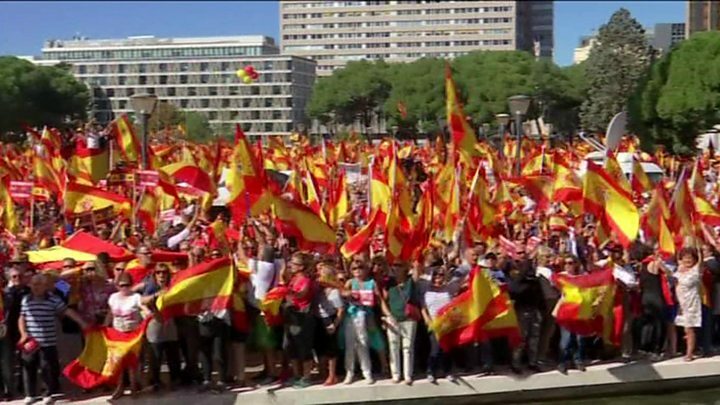 On Saturday thousands of people rallied in Madrid for Spanish unity. A similar demonstration is under way in Barcelona in response to last week's disputed referendum. In the El País interview, Mr Rajoy said: "The government will ensure that any declaration of independence will lead to nothing." 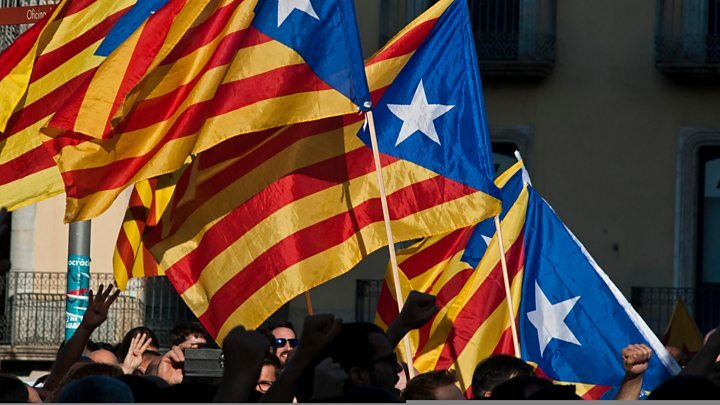 Mariano Rajoy - the prime minister who lost Catalonia? The prime minister also said he planned to keep the extra police deployed to Catalonia before the referendum in the region until the crisis was over. Catalan President Carles Puigdemont is expected to address the regional parliament on Tuesday at 18:00 local time (16:00 GMT) after Spain's Constitutional Court earlier suspended the Catalan parliament session that had been planned for Monday. Other demonstrations - including in the Catalan city Barcelona - were also held urging political dialogue. 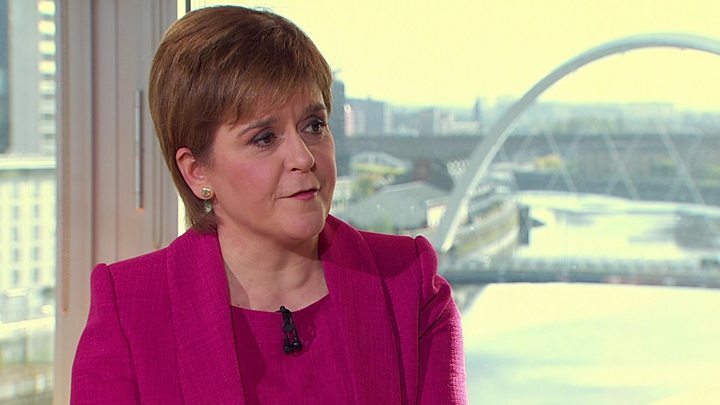 Media captionScotland First Minister on Catalonia: "How can Catalans legally express their view? 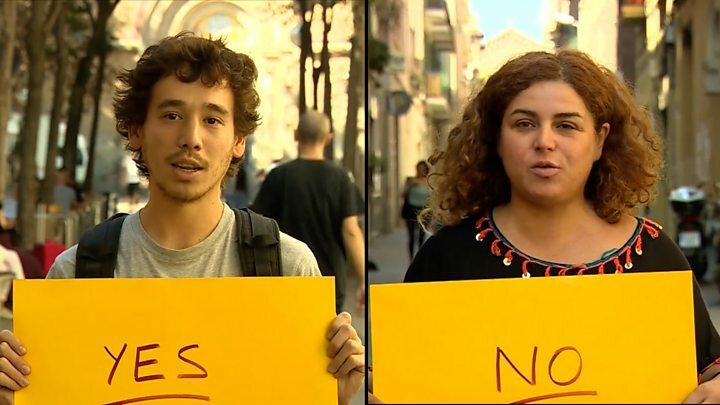 Video Catalan referendum: Yes or No?